To avoid any controversy on toppers, the state board has reportedly decided to physically verify the toppers. 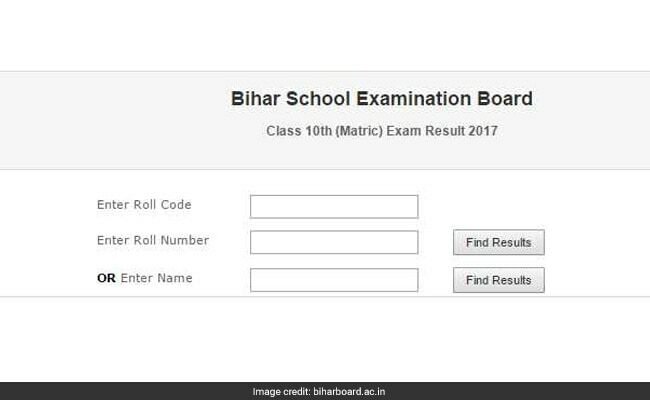 New Delhi: Over 50 per cent students manage to clear the Bihar School Examination Board Class 10th Results 2017, declared moments ago on official website biharboard.ac.in. Last year, the overall Class 10 pass percentage stood at 44.66 per cent. Nearly 15 lakh students had appeared for the matriculate exam this year. Earlier this month, the state board decided to award grace marks to students failing up to two subjects in Class 10 exams, after reports of merely 35 per students clearing the intermediate exam emerged, down from 62 per cent pass percentage in 2016'. Bihar School Examination Board (BSEB) Class 10th results' overall pass percentage is 50.12 per cent, reported news agency ANI. Student Prem Kumar secured the first rank with total 465 marks, the agency further reported. Bihar School Examination Board or BSEB has been surrounded by controversies over the past few years. The board's Class 12 humanities stream topper Ganesh Kumar could not answer basic questions on his subject in a TV interview. 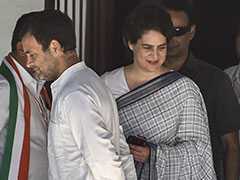 Later during investigation, it was found Mr Kumar, who claimed to be 24, is actually 42 and the father of two children. He was later arrested. Last year, Ruby Rai drew infamy after saying "political science" is about cooking, and failing to answer basic questions in the subject she topped. To avoid any controversy on toppers this time, the state board has reportedly decided to physically verify the toppers. "This year, BSEB introduced physical verification of the Top 10 students, they were already notified about this," said BSEB chairman Anand Kishor told ANI.